Every time it snows my children have come to expect that they will be served hot chocolate after they return indoors from their winter excursions. Not just any hot chocolate mind you, but homemade concoction using their Father’s chocolate; Cocoa Mill’s milk and dark chocolate. I can guarantee when I place the warm cups of cocoa in front of them they will ask: “Did you make this with Daddy’s chocolate?” the answer is always “Yes.” and there are smiles all around. Being that it is 3 degrees outside today (but no snow) I thought it would be fitting to share this homemade hot chocolate recipe. 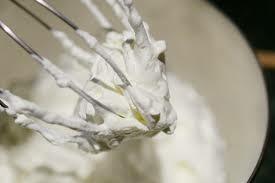 You will also need a mixer capable of whipping cream. 1. Warm milk in a sauce pan over low heat, (be careful not to boil the milk). When steam begins rising from the milk add your 2 types of chocolate, 1 1/2 tsp of vanilla and 3 Tbsp of granulated sugar. Continue cooking over low heat until chocolate is melted and well blended with the milk. 2. Place whip cream in a bowl and add 1 1/2 tsp vanilla and 3 Tbsp of powdered sugar whip with a beater until the cream forms stiff peaks when the beater is removed. Cover and place in refrigerator. There are so many ways you could adjust this recipe, add Bailey’s Irish Creme for an adult beverage, add 3 Tbsp of coffee (or more) for a mocha-chino, add some caramel syrup on top of the whip cream just for an added yum. Let us know what variations you come up with! *You can also substitute truvia for sugars or another sweetener to decrease caloric/carbohydrate in take. You can save the additional hot chocolate mixture for up to a week in the refrigerator and reheat as needed.